We are on the return journey now, back to Apia, Samoa. The seas are rougher on the way home and many of my colleagues are down, bundled in their cabins. As boat pitches back and forth, I have the time to reflect on the expedition and what we have achieved. In two short weeks we have managed to collect data on the health and resilience of the coral reefs to understand how the post-bleaching recovery is going. 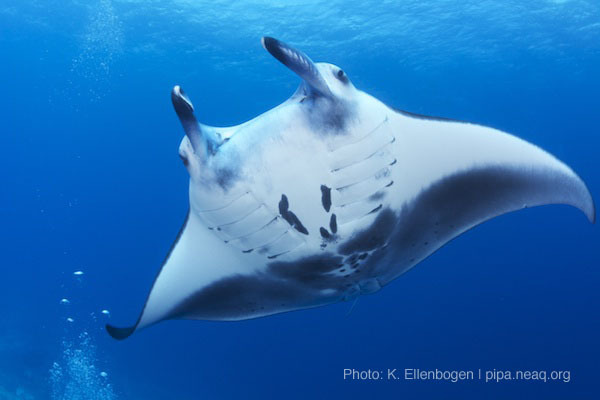 The "fish heads” from WHOI and KAUST have tagged nine manta rays from Kanton and Orona and there are data now being collected on how these animals move within and between islands in the Phoenix group, and how much time they spend on the open ocean. We have coral cores that WHOI researchers collected, which may tell us what has been the climatological history of the Phoenix Islands group over the last 200 to 250 years. During the voyage home, I have been analyzing some of our monitoring data. 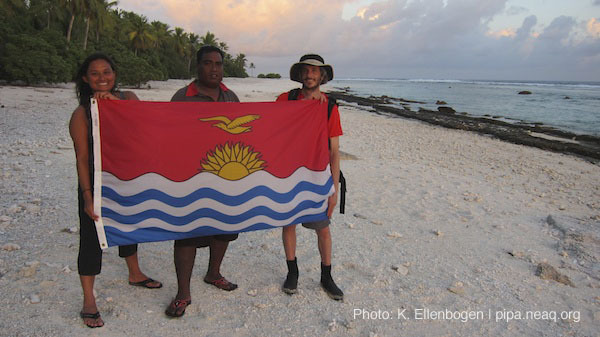 Our temperature loggers are suggesting that there were unusually high temperatures in the Phoenix Islands in late 2009/early 2010 for about 3 to 6 months. I am keen to analyze all the photographs we collected on the coral benthos to assess whether this hot water event caused likely bleaching and mortality. It is a coral lover's worst nightmare – the thought of repeated coral bleaching events happening one after the other, leaving insufficient time for coral communities to fully recover, and changing reefs forever. However, as a coral ecologist, it remains instructive to observe the changing dynamics and to learn what we can from this special place. It is clear from diving and collecting data on the reefs that the coral communities, especially those on the leeward side of reefs have undergone a large change, and the recovery is continuing slowly. Recruitment rates are low suggesting that these communities are relying on fragments of corals reattaching and growing, rather than large number of new corals settling on reefs. Many of those iconic coral species on reefs like Acropora (which form everything from thick thickets to large plates), a decade after the 2002/2003 bleaching event, have not yet come back, suggesting the scarcity of healthy reproductive corals that would facilitate the recovery of these species. This is worrying, since Acropora corals create a lot of habitat diversity that is important to a number of fish species. However, there are still some areas where these Acropora corals thrive: places like Kanton lagoon and Enderbury, as well as many of the windward reefs are doing well, and hopefully will be a source of larvae that can help leeward side reefs recovery over the next decade. What does give me hope is that our preliminary data analysis is showing that fish populations are healthy and continue to thrive. Large numbers of juvenile sharks at Kanton and Orona suggest that shark populations are well on their way to recovery. Where there are damaged reefs from old shipwrecks, large swarms of herbivorous fish are grazing away at the algae like lawn-mowers, keeping the algae from taking over the reefs. 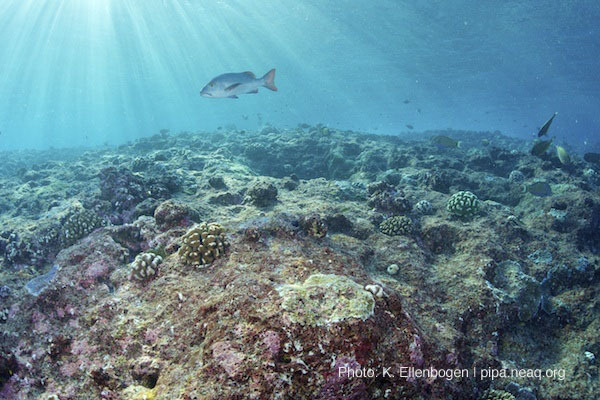 reefs further, is giving Phoenix Islands a fighting chance at recovery. The Phoenix Islands Protected Area is recovering at it's own pace, and will continue to inspire me and hopefully others to keep working on finding better ways to manage our coral reefs. Congratulations on a successful trip! I look forward to hearing more about what your data reveals.